I celebrated my 41st birthday yesterday…. work, pavlova, the pub for dinner and early bed as I have a cold and working in the rain the last two days has made my body a bit tired.. Oh the joys of getting old(er) ! For my birthday I got a new Juki HZL F-600 …. i got her for about two weeks as I had to send it back to get looked at. Suddenly she sounded very clunky and I really dont know what is causing this. I cleaned everything, changed the needle, rethreaded, oiled etc etc.. still “loud” so I did not want to ruin anything by keeping on sewing on the new machine. Hence I spoke to Sewing Machine City in Melbourne and straight away they arranged a courier to pick her up. Lets hope it’s something minor and easy to fix! 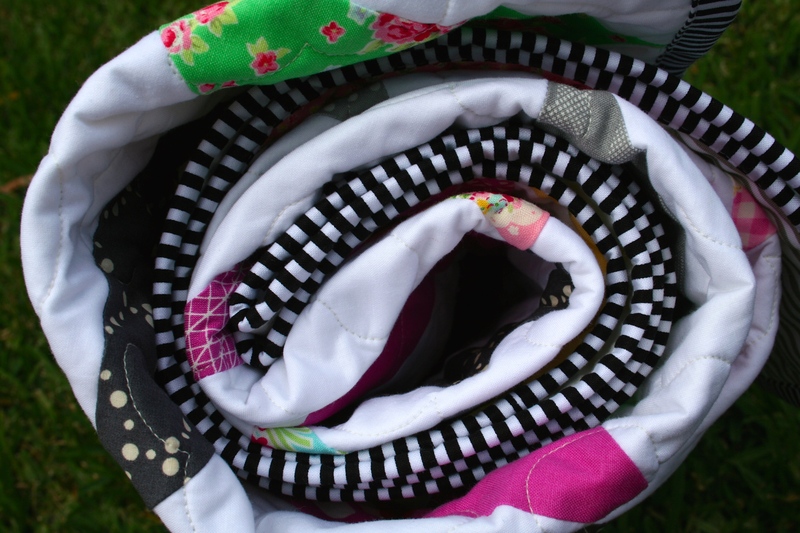 Today I got my “old” sewing machine out…. 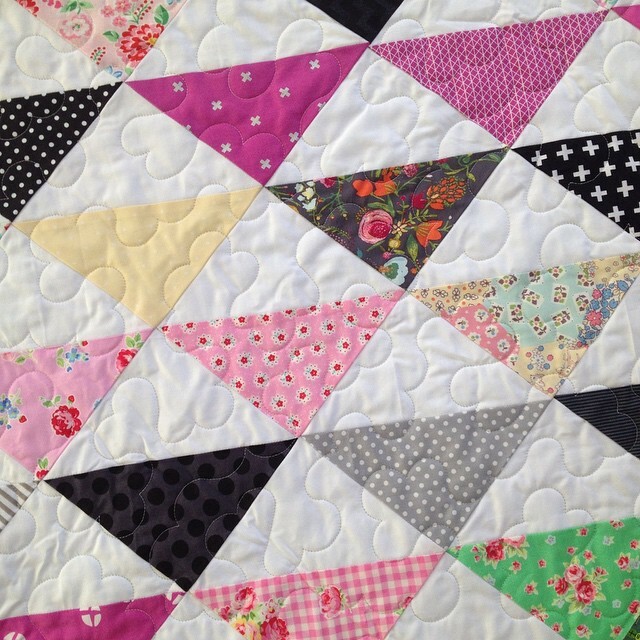 I made my stripey binding on Monday night and today I sewed it onto my gorgeous quilt. I made a promise to myself that every quilt that I make this year ( except for custom orders) will be made with fabrics that i LOVE. 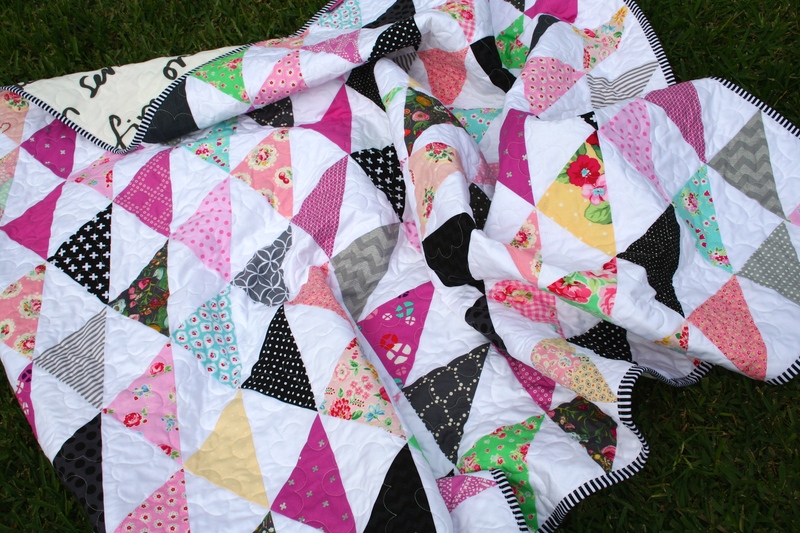 Because then, if a quilt doesn’t sell, I can keep it and be very very happy with it! 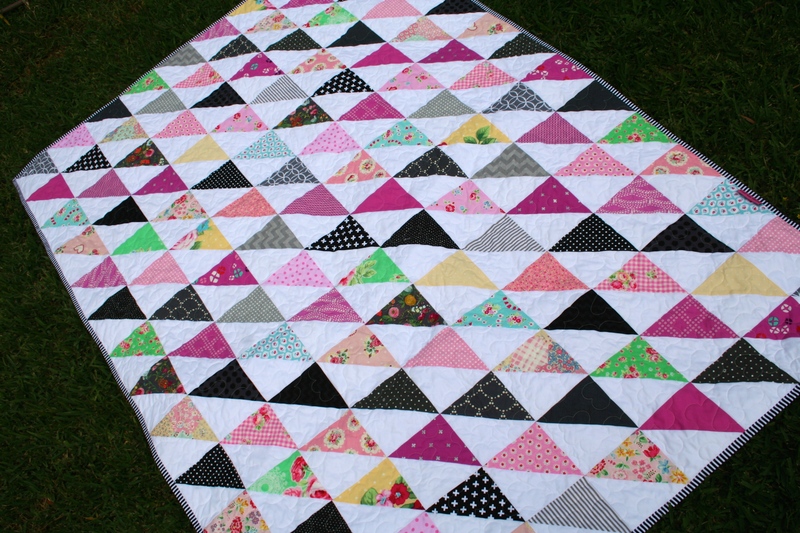 Hope you are all keeping well.. my quilt has her first wash as we speak but I took some pictures beforehand to show you all. I will be starting on my ETNO blog tour project soon and hope to show you some nifty little bags along the way as well.